Krystal Cormack was born and raised in Chicago but dug her roots in the Delta after finding the Teach for America program. Her journalistic spirit enflamed her desire to know more about the gaps and shortcomings of the education system in Mississippi. As the current director of alumni leadership for the Teach for America program, she’s focusing on encouraging young graduates to stay in Mississippi and use their skills to make a difference. HottyToddy.com’s Anna Grace Usery sat down with Cormack to learn more about her story. 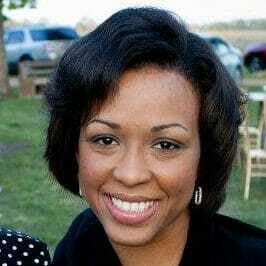 Krystal Cormack is the director of alumni leadership for the Teach for America program in Mississippi. Photo provided. Usery: Krystal, where did you grow up? Cormack: I am from Chicago — born and raised. I attended Chicago public schools and the University of Illinois. But my family, on my mom and dad’s side, has Delta roots. Many of my family members still live in the Clarksdale and Quitman counties. Usery: What career did you want to have when you grew up and when did you realize your passion in life? Cormack: I wanted to be a journalist. I am naturally curious, and I love engaging people and making new friends. I thought that becoming a journalist would be a perfect outlet for my curiosity and extroversion. I realized that communication was an area of passion for me in high school. I was a managing editor of the Steinmetz School newspaper. Usery: How did you find the Teach for America (TFA) program? Cormack: I found out about Teach For America from a fellow journalism student named Marcus Williams, who told me about the work he was doing in Chicago public schools as a middle school teacher. He encouraged me to look into the program and see if I could relate to its mission of closing the achievement gap in low income communities and communities of color – and I did! I’ve been in the fight for educational equity ever since. 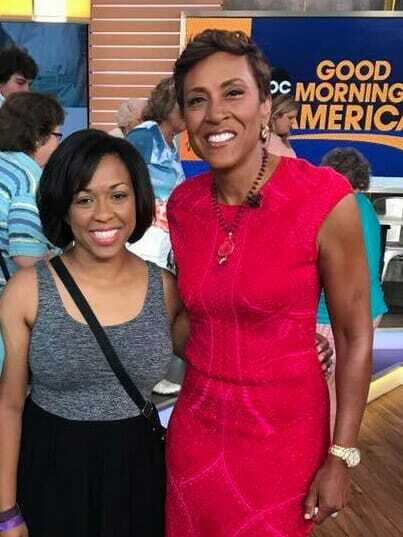 Krystal Cormack and Robin Roberts from Good Morning America. Photo provided. Usery: Is there a specific story you can tell me that solidified your decision to be an educator? Or an experience with a student that gave you hope for the future? Cormack: I thought I would teach for two years in the Delta and then go to graduate school. But when I began teaching in Jonestown, Mississippi, everything changed for me. My students were so eager to learn and their parents were so insistent that they have access to a high quality education. I’ll never forget I had a student whose mother used to come visit every week. She would quietly stand in the hall and peek through the window. She wanted to make sure I was teaching and her child was focused on learning. Woe be unto the both of us if either of us was off task! But it was that kind of determination that made me want to be a better teacher – to be the kind of teacher that my students deserved. Usery: What are some of your goals as director of alumni leadership for Teach for America and at the Charter School Board? Cormack: My goals as the director of alumni leadership for TFA and at the Charter School Authorizer Board are guided by the same belief that children in Mississippi and Arkansas can learn and deserve an excellent education. At Teach For America, the way I progress toward the goal of providing all children with a high-quality education is through retaining talent in our state, providing professional development to teachers and principals and supporting the leadership of our alumni so they take on some aspect of this challenge and make a difference for our students. For some, that will be teaching and learning. For others that will be pursuing juvenile justice and advocacy or providing adequate health care in rural communities. I want the alumni of TFA to pursue their passion to make our children’s lives better with the same determination that our students display every day in our classrooms. They can make a difference in education, law, health care, food access and all of the other things that contribute to poverty and lack of educational opportunity. If we work together, we can solve this. Similiarly, on the Charter School Authorizer Board, I want to open high quality charter schools in communities where children need access to schools that prepare them for college and careers they are passionate about. I want charter schools to be a mechanism to help children achieve and for our state to expand innovations once we figure out what kinds of things are working well to serve students who need something different than what they are currently getting. Usery: Terrible things are shown in the media about the education system in Mississippi, but you and I both know there are extremely dedicated people who devote their lives to students. Have you seen that the program has benefitted Mississippi in wake of those “umbrella” accusations? Cormack: Currently, there are about 250 alumni of Teach For America living and working in Mississippi. 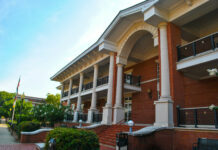 They are serving as teachers, principals, policy analysts, reading coaches, counselors, professors and preachers. They are working alongside the many Mississippians who are supporting our state’s education change efforts. We need lots more young dedicated people to join this effort and stay in the education fight for the long term. I’m confident it’s making a difference. But we need the young people graduating from the state’s many colleges and universities to stay in Mississippi and work to make Mississippi a better place. Cormack: My favorite things about Oxford are about to OUT me as a huge nerd – I love Square Books and the office supply store. I love post-it notes, highlighters, school supplies, notebooks, books and especially pens. I have a huge collection of nice pens. Pens are my vice and Oxford has lots of cool pens in its book stores and office supply stores. Krystal Cormack is an awesome educator and passionate advocate for the children of this state. I’m thankful she found her way to Mississippi. The fact that she chooses to remain here and raise her children in this education system is the purest evidence that she believes in it and won’t stop working to make it better.